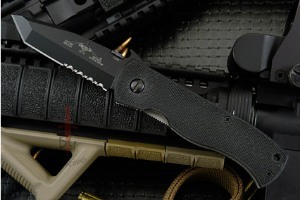 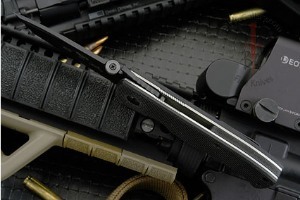 The Emerson CQC-7 is an icon in the tactical knife industry. 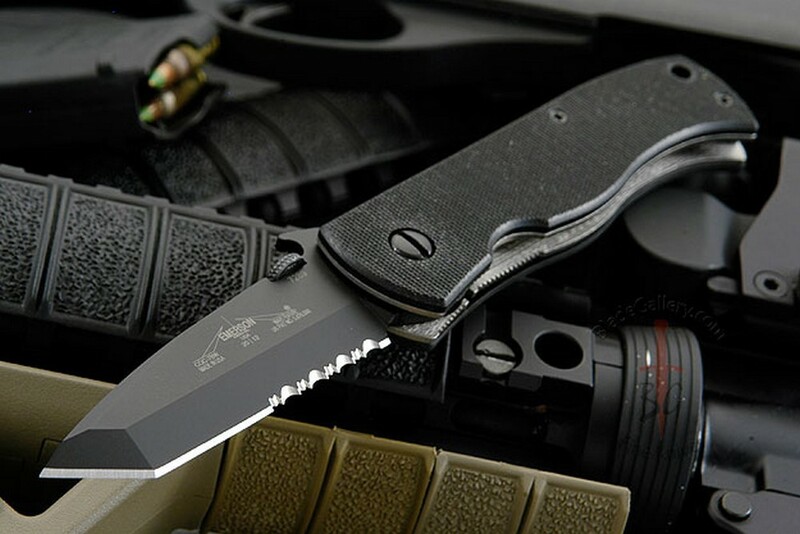 The 3 1/4-inch tanto blade features a non-reflective black tenifer coating, upper swedge and chisel-grind. 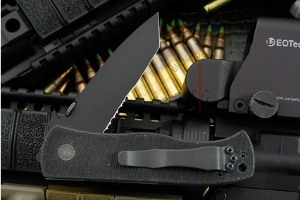 A thumb disc makes right- or left-hand opening easy and convenient, while the patented Emerson Wave opener makes one-handed opening the fastest of any folding knife. 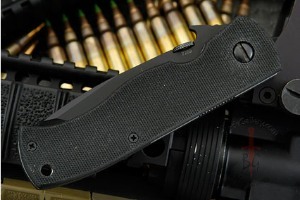 Textured G-10 scales provide positive traction in any grip style. 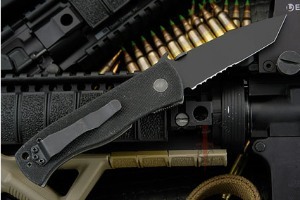 The slim format lends itself well to using the knife in a closed position as an impact device and is at home in evening attire as casual wear despite being all business. Truly a modern classic design that is combat-proven.